KATIE: So you're FINALLY home. This Waffle Wagon of yours smells. WAFFLES: Are you happy to see me, Boss? I had SO much fun! Did you miss me? You won't believe how many girlfriends I have now! And they ALL wanted to take me home! KATIE: Yeah? So what went wrong? 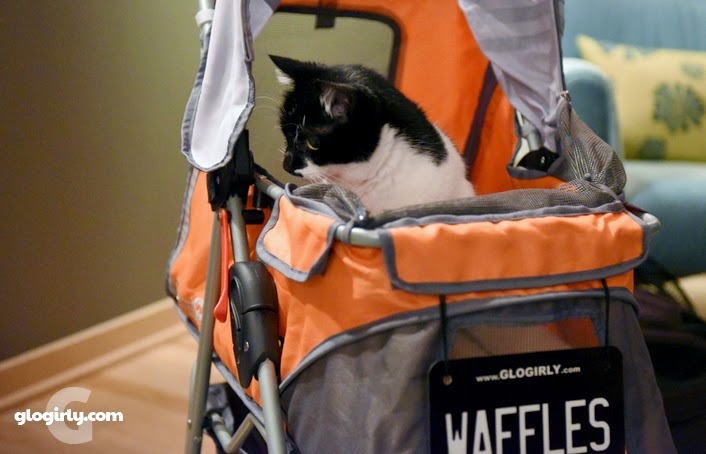 WAFFLES: Whattaya mean, what went wrong? KATIE: Why didn't you go home with one of your *girlfriends*? WAFFLES: Because I missed YOU, Boss. 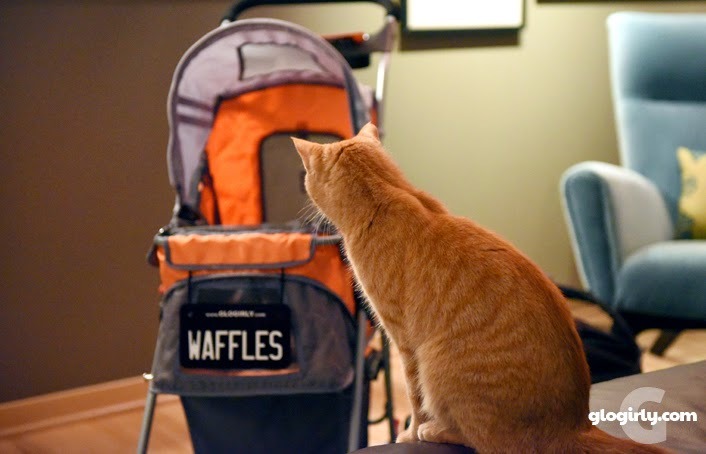 WAFFLES: I was kind of hoping for a homecoming party. Or maybe a parade. Now that we're home and catching our breath... maybe you'd like to catch up with Waffles! In case you missed any of Waffles' big adventures, we've gathered all the links to each day's excitement. ...think of it as your own purr-sonal Waffles DVR. Does Katie know that you're a superstar now, Waffles? Aww, poor Waff! Boss just can't appreciate you, can she. Ah Waffles, what a sweetie you are! Maybe it's just the human ladies you're famous with, Waffles! I think Katie thinks it's her job to keep ya from gettin a big head. Don't worry Waffles, she's just playing hard to get, and maybe a little jealous too. Glad you all made it home nice and safe Waffles. I bet Katie was glad to see you. Take care. Not even chick-hen?? Glad you & Glogirly got home safe. We are glad to see you back home safe and sound! You must be totally exhausted, but a good exhausted. Awww I am sure she missed you! 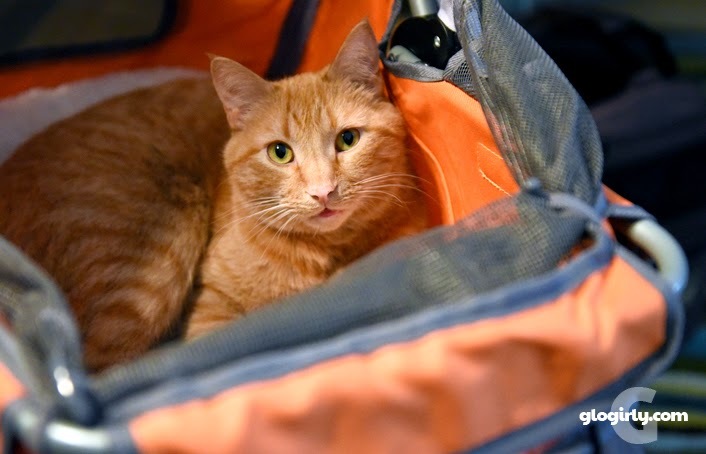 Great seeing you and your Mom at BarkWorld/MeowWorld! Poor Waffles. Katie should throw you a party! 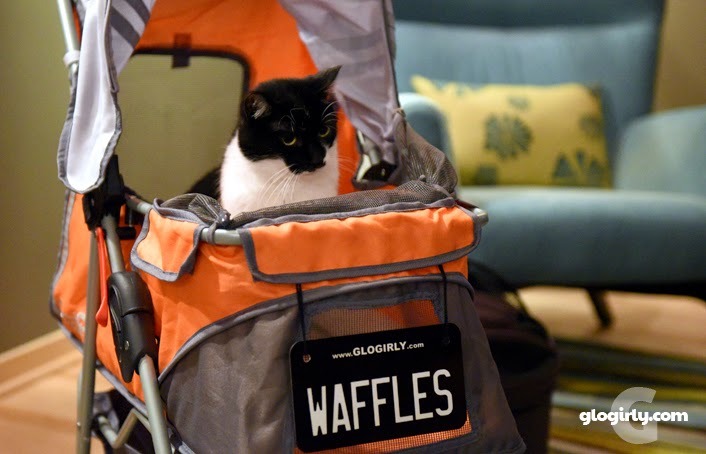 Katie is there to help you keep your celebrity in purrspective, Waffles. We suspect she's more happy to see you home than she's going to let on, though. Awww. Waffles, Katie secretly missed you too. She just doesn't want to admit it. It was great meeting your mom on Friday!! No parade?? oh that's just wrong. I hope you at least got some chicken..
A big chicken parade Waffles? I bet that would be a welcoming committee! Welcome home Waffles and Glogirly! Looks like Katie wants to go on her own adventure. I'm sure she is super happy you are home now! Maybe it's a surprise party??? Thanks for helping us celebrate Raz's Gotcha Day. Even if Katie isn't glad you are home, I bet you and Glogirly are happy to be sleeping your own beds. Glad yous had a good time Waffles. My mom-person have waited for a homecoming party or a parade for years when she comes home from her travels. I can tell you that it haven´t happend yet !